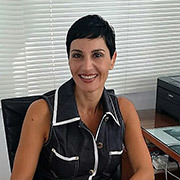 Ms. Rona Petri Kassapi was appointed in July 2017 by the President of the Republic of Cyprus as President of the Cyprus Radio Television Authority. She took over the position from Mr. Alecos Evangelou who resigned earlier in July. Ms. Kassapi was appointed by the Council of Ministers of the Republic of Cyprus as Member of The Cyprus Radio Television Authority in July 2016 and in February 2017 she was appointed by the President of the Republic of Cyprus as Vice-President of the Authority. In June 2016 she was appointed by the Council of Ministers of the Republic of Cyprus as Member of the Examination Board for Insolvency Practitioners, Ministry of Energy, Trade, Industry and Tourism and in February 2017 she took the position of Vice-President of the Board.